Some will ask in partially good faith whether we really need another Holocaust documentary. Oddly enough, those same people never seem to ask if we really need another film about the environment. There have been a fair number released after Spielberg’s “Schindler’s List” and Claude Lanzmann’s “Shoah.” Many of them were excellent, such as “Inside Hana’s Suitcase,” “Night Will Fall,” and “The Labyrinth.” Yet, the lack of will to combat the rise of anti-Semitic violence in Europe suggests there is indeed a pressing need for more Holocaust documentaries. While we can view them as part of the ongoing effort to prevent future atrocities, the emotional impact of the Holocaust persists to this day for the survivors giving testimony in British documentarian Claire Ferguson’s “Destination Unknown,” which opens this Friday, Nov. 10 in New York. 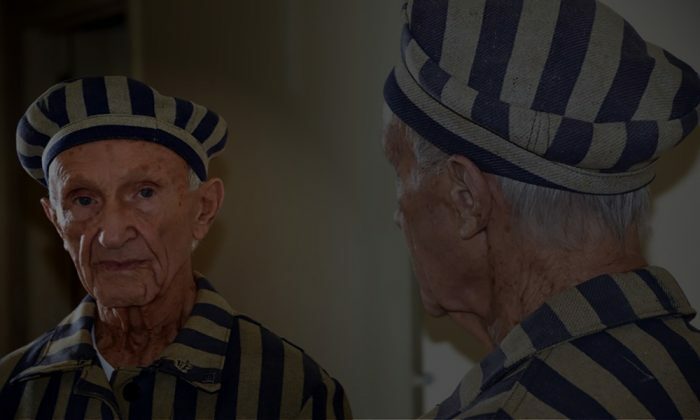 It is hard to imagine how a survivor like Ed Mosberg could don a replica concentration camp uniform to give educational programs, but his commitment is just that extraordinary. In contrast, another survivor explains why he felt a pressing need to have his camp tattoo removed, which we can all surely understand. Nobody uses the term post-traumatic stress in this film and it is probably for the best. Viewers could give probably give that armchair diagnosis to all 12 survivors interviewed at length by producer Llion Roberts without fear of contradiction, but what they continue to experience is deeper and more profound than that. For instance, Mosberg’s wife can still hardly bring herself to discuss those times with him, let alone anyone else. There are two historical figures whose shadows loom large over “Destination.” Although the Spielberg film and Thomas Keneally’s book are never directly referenced, several survivors speak at length about their very different encounters with Oskar Schindler and the savage camp commandant Amon Goeth. “Schindler’s List” was arguably the first film to take subject matter to a mass audience (nearly $100 million box office gross in the U.S. alone), but it has been few years since 1993. The world could probably use a refresher. In fact, “Destination” is rather newsworthy, because it features the first on-camera interview with Schindler aide Mietek Pemper, Goeth’s reluctant secretary (Ben Kingley’s composite character was partly based on him). Perhaps we should take encouragement from the fact “Destination” hails from Europe, but it is probably needed more in countries like France and Sweden than the UK. Nevertheless, it is executed with considerable sensitivity and insight. In some ways, it acts as a corrective to more simplistic films that present Holocaust narratives as a triumph over adversity. Some of survivors steadfastly embrace life as a means of countering the darkness, but others have never truly escaped the terror. Highly recommended for general audiences, “Destination Unknown” opens this Friday, Nov. 10 in New York, at the Cinema Village.